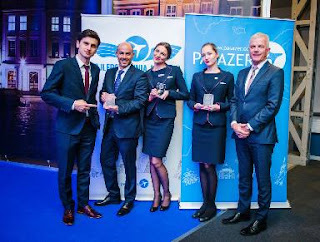 The team at one of Europe’s fastest growing airlines are celebrating after snagging two top accolades at the CESAAR awards. Wizz Air was named 2018 The Best Low-Cost Airline of the Year in CEE region and was given the Best Cabin Crew award by the Central and Eastern European passengers. The CESAAR awards were handed over at the ceremonial gala in Poznan. The awards, which are among the most important and prestigious prizes of the aviation industry in the CEE region, is a recognition of Wizz Air's excellent performance, superior service and strong network expansion. In 2018, over 9 million passengers travelled with WIZZ on its low-fare Polish routes, 14% growth year on year. 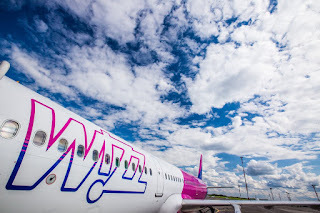 In 2019, Wizz Air has 27 aircraft based in Poland, employing over 1,000 customer-oriented crew at five operational bases including Warsaw, Katowice, Gdansk, Poznan, Wroclaw and from 1 May Krakow. The airline also offers low-fare flights from Szczecin, Olsztyn Mazury and Lublin. An outstanding event of the year will be the opening of the newest WIZZ Polish base in Krakow in May 2019. The airline’s Polish operations do not only provide affordable travel opportunities between Poland and the rest of Europe but also stimulate the local job market in aviation and tourism sectors, supporting more than 8,000 jobs this year in associated industries throughout the country. The Polish WIZZ network now consists of 169 routes to 28 countries. The carrier also announced this week that it was further developing its newest base in Krakow, Poland. The airline will allocate the second Airbus A321aircraft to the Krakow base on 1st August, one and a half months ahead of the originally planned mid-September, while an additional – the third –Airbus A321 aircraft will join the Krakow fleet already in September 2019. The new Airbus A321 aircraft will support the operations of six new routes to Turin, Rome-Fiumicino, Tel Aviv, Eindhoven, Birmingham and Keflavík. Jones said the "Announcement underlines our long term commitment to Krakow and Poland, our Polish customers and our desire to offer more and more low-cost travel opportunities to our distinguished Polish passengers. 2019 is a year we are very much looking forward to as we are entering the Krakow market and rapidly developing our local presence and route network as well as steadily expanding our Polish operations which now offers 169 low-cost routes to 28 countries. We are sure that our Polish customers will love the convenient schedule of our new flights, the easy online booking system at wizzair.com and the wide selection of options to tailor-make the travel experience to each traveller’s needs."